The wine community is not immune from the effects of the global recession. The International Organization for Vine and Wine recently projected that production this year will fall to an eight year low. 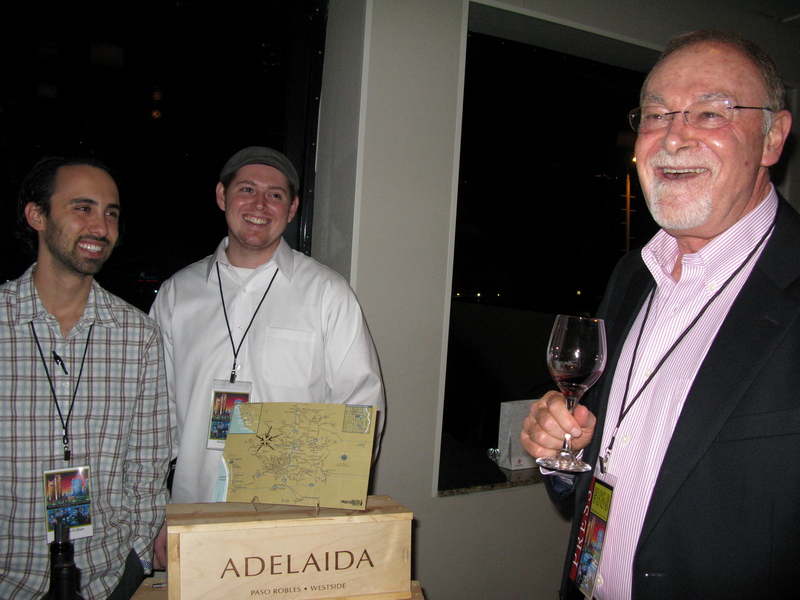 This trend was not evident as the annual San Diego Wine and Food Festival attracted nearly 60 wineries to a reserve tasting event following a week of intriguing “fork and cork” programs. Marketed as the largest festival of its kind in Southern California, the participation of 170 wineries and breweries, 70 restaurants and several celebrity chefs were apparent throughout the five-day affair. Food plays an equal role to wine at this festival, whether learning to cook California-style French food, South American cuisine or indulging in creative chocolate making through classes from one of the celebrity chef’s on-site or the fabulous small plates from San Diego’s finest restaurants. 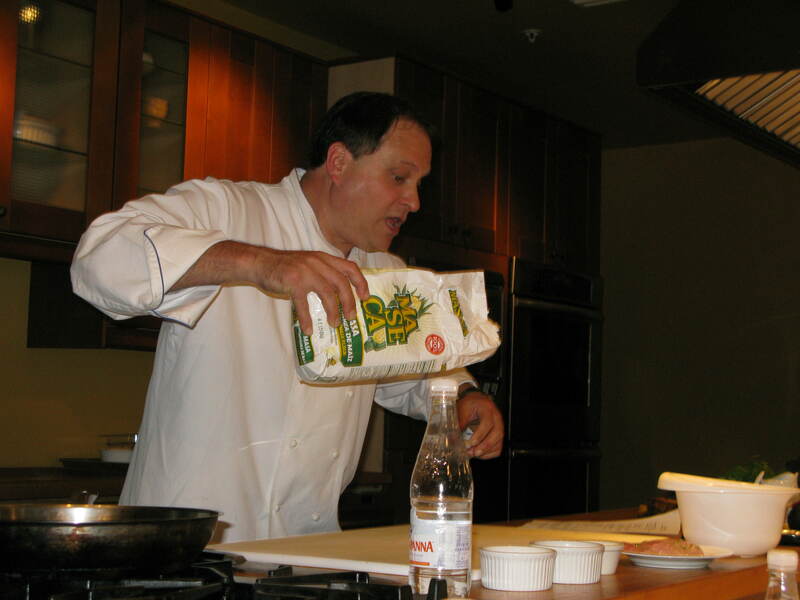 Recently returning from the continent, we chose to attend “A Taste of South America,” with Billy Strynkowski, Executive Chef for “Cooking Light “ magazine. Strynkowski’s east coast casual style provided energy and laughter as he guided us through mango mojitos’s and a menu of arepas, pan-grilled halibut with Chimichuri, maduros (sautéed sweet plantains) and enchilado de camerones (deviled shrimp). The chef, aside from stressing proper knife cutting techniques, shared tips like “never buy an avocado with the stem missing,” “never crowd fish when cooking” and that “400 degrees is the new 350.” Of course, our menu was paired with a solid Chardonnay and an excellent Tempranillo, both from Paso Robles’ WCP Cellars, an up and coming winery from a region that is the current “buzz” in California. A few days after Wine Spectator magazine announced Justin Smith’s Saxum Winery “James Berry Vineyard” Rhone blend its “2010 Wine Of The Year,” proof that Paso Robles winemakers have positioned themselves as a powerhouse was clear throughout the San Diego fête. WCP Cellars was only the first of many fresh, new Paso wineries that we encountered. Another occurred when co-founder Sherman Smoot, a former fighter pilot, was pouring wines at the Reserve Tasting from his boutique Bella Luna Winery, producing less than 2,000 cases. Although they source varietals from other vineyards, the flagship wines, 2008 Bella Luna Estate Sangiovese and 2006 Estate Riserva, a Sangiovese-Cabernet Sauvignon blend, originate from their five-acre estate vineyard in the Templeton Gap, south of town. Both wines stood up to other exceptional local Sangiovese in texture, balance and taste. Clautiere Vineyard, a small east Paso winery with an interesting history, was pouring their unique blends and a 100% Mourvedre, an earthy grape noted for softening Rhone blends. Aside from being well balanced and textured, their Clautiere Vineyard Estate “Mon Beau Rouge,” a classic Rhone-blend with Syrah, Counoise, Grenache and Mourvedre and Estate “Mon Rouge,” a Syah-Cabernet blend both delivered great taste and a notably long finish. Curiosity of the varietal drew me to the 2006 Derby Wine Estate Petite Sirah, a young Paso Robles producer whose distinctive wines, including a 100% 2007 Counoise, are attracting attention. Counoise, another Rhone varietal, contributes spice and some good acidity to the ensemble, overcoming negligible depth of color. The 2007 Derby Vineyard “Fifteen 10” red Rhone-blend and the unique 2006 “Mocab” (Mourvedre 60%-Cabernet Sauvignon 40%) blend are both wines I would suggest. The “Fifteen 10 white Rhone, not available in San Diego, has also received good reviews. Exploring the many new, gifted wine producers from Paso Robles promises to be both fun and informative in coming years. The Reserve and New Release Tasting event, held aboard the elegant Hornblower Inspiration yacht, is a great opportunity for wine enthusiasts; winemakers and restaurateurs to network through new release wines and great food. Among the wineries represented, my most significant take away was a Chardonnay from a small Sonoma County winery in Healdsburg. With no prior knowledge that it had amassed accolades including best of varietal at the 2010 San Diego International Wine Competition, the 2008 Dutcher Crossing “Stuhlmuller Vineyard” Chardonnay instantaneously became my favorite new discovery of the event. Expressive, creamy texture, the result of 100% malolactic fermentation, leads us through soft fruit flavors followed by those of nuts and butterscotch on the finish. The high-end $34 price tag is justified for those drawn to Chardonnay multi-layered with flavor and texture. This wine will remain on my radar. Few are aware that nearly 20% of California’s total wine production originates from Lodi, exceeding Napa and Sonoma combined. While Zinfandel put the region on the map, Lodi is also a leader in the production of Cabernet Sauvignon, Merlot, Chardonnay and Sauvignon Blanc. Last month I mentioned that Michael and David Winery’s “Earthquake Zin,” from Lodi, was a good locally available wine. “MDW” has recently expanded its accreditation, primarily through the release of their full-bodied “Seven Deadly Zins” wine. The festival affords enthusiasts occasion to be on the front end of something good. At the reserve tasting, I had the pleasure to try the Michael and David Winery 2007 “Sloth,” “Lust,” and “Gluttony,” all part of the new “Sin series,” all living up to the hype. Each of the wines hails from a specific vineyard, offering a unique blend with the Zinfandel grape. All three posses a smooth, creamy texture with “Lust,” certainly no coincidence, adding hints of caramel and chocolate on the finish. Lodi and nearby Calaveras County also produce much of the state’s Petite Sirah, an ink colored wine that usually delivers strong bouquets and well-balanced dark fruit favors, often under $20. Once such wine is the 2008 Van Ruiten Family Vineyards Petite Sirah, drinkable now, priced at $19.99. Vintage 2007 was good for Napa Valley Cabernet Sauvignon. The region placed five wines in the first twenty of Wine Spectator magazine’s top 100 of 2010 including the 2007 Altamura Napa Valley Cabernet Sauvignon, listed as #4 with 97 pts. A part of that success resides in a small area, southeast of downtown Napa, known as the Tulcay-Coombsville District. Bruce Ahnfeldt first planted Cabernet Sauvignon and Merlot in Coombsville during the mid-eighties, providing grapes to other wineries, including Altamura. Since the inception of his label in 2002, Ahnfeldt wines have consistently been rated in the nineties by major periodicals. The 2005 Ahnfeldt Cabernet Sauvignon Napa Valley was a nice relief from the rain and wind that impacted the Saturday Grand Tasting Event, staged on the green near Seaport Village. The boldness of this wine is not overbearing, softened by impeccable balance and a smooth, creamy texture. The Coombsville area has several family owned wineries, waiting to be included in future explorations of Napa Valley. For those who love food, wine and this city, the San Diego Wine and Food Festival, held annually in November, is a great way to welcome in the winter. We came away with some great recipes and cooking tips, sampled food from the areas finest restaurants and, of course, discovered several new wine releases, all of high quality. Although the festival lasts only five days, the experience continues as we try to perfect new dishes and pursue the best values from the world’s finest wine regions. There is also plenty of opportunity to hang out in the Gaslamp District or at the beach. 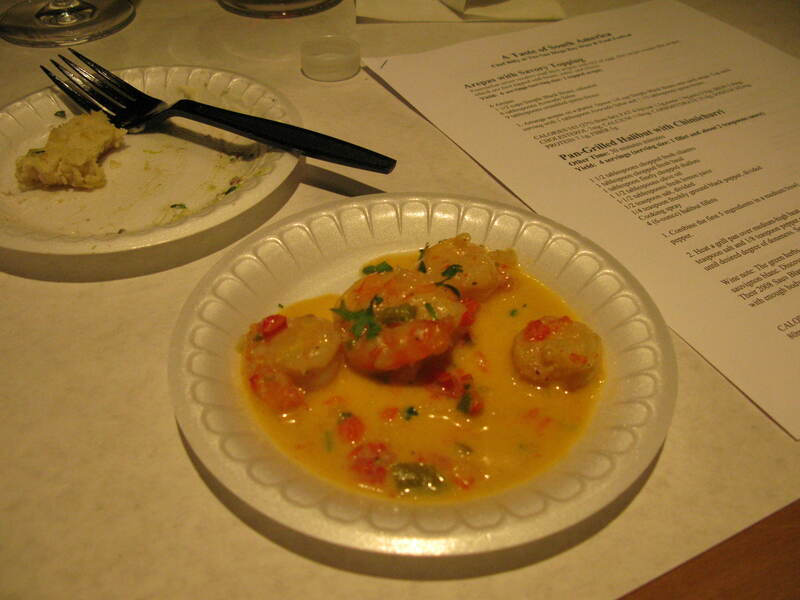 This entry was posted on Friday, June 24th, 2011 at 6:37 pm	and posted in Food, Wine. You can follow any responses to this entry through the RSS 2.0 feed.